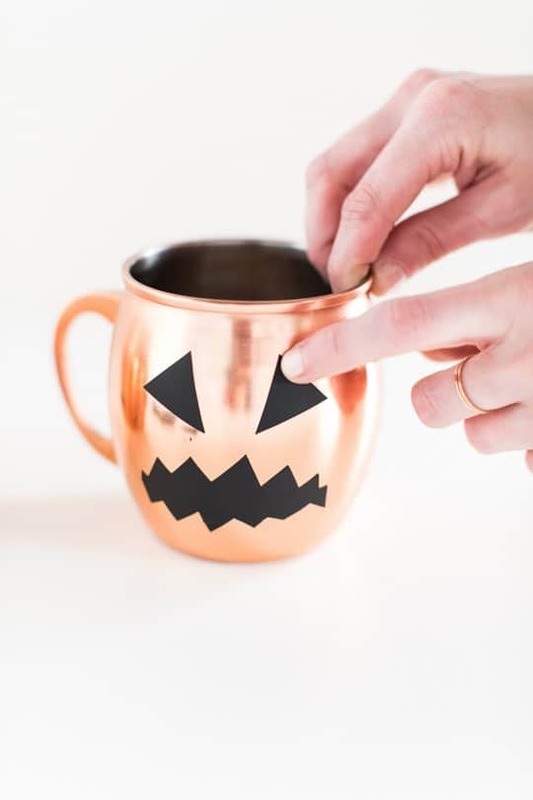 Though I’m not necessarily a big Halloween fan, I can still whip up a few non-scary decor ideas here and there, and these DIY Halloween glassware decals may actually be one of my prouder moments. 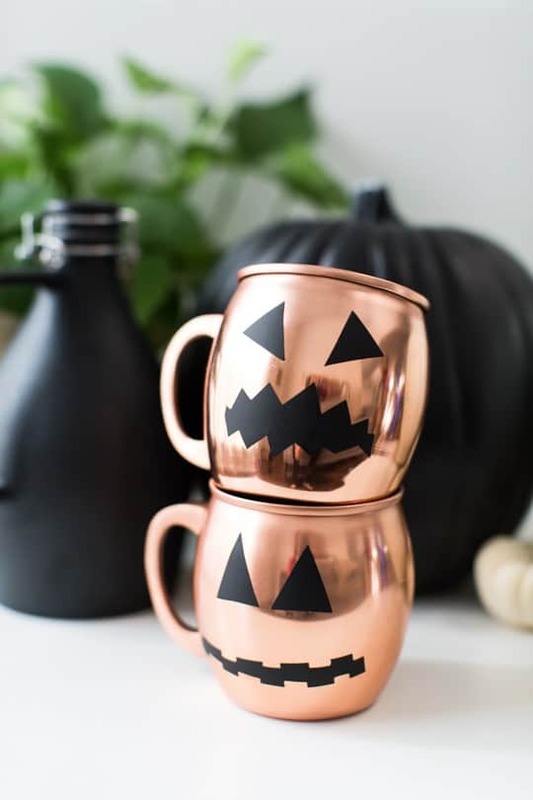 I mean, not only were they an excellent excuse for me to breakdown and buy some copper glasses (to resemble pumpkin color, of course), but they’re also temporary so I can have these copper mug beauties all to my non-scary holiday self after the season ends. 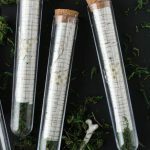 To seal the deal, you can make a whole slew of custom glassware decals for your costume party with just one package of vinyl clings, bet you didn’t see that one coming! To make the clings, cut out triangles and scary burst or zipper shapes from the window clings designs for the eyes and mouth just like you would carving a pumpkin. Make sure your glassware is clean and dry, then press the clings in place on the glassware, and serve! The clings actually hold up really well to condensation and warm drinks. We even hand-washed the cups with the clings on them and they still stayed in place, so you could easily reuse cups throughout a party if you needed to. 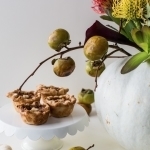 Once the party is over, just peel the clings away and toss them or save them in the packaging for next year! These are incredible! 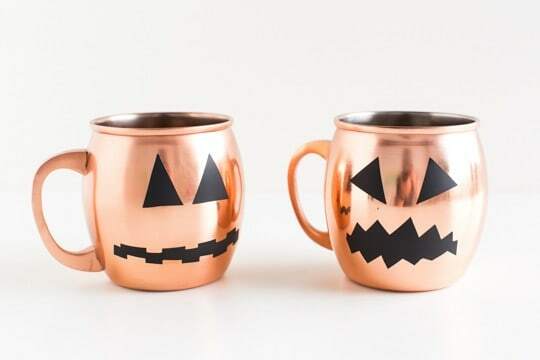 I love them with these copper mugs. So cute, Ash. Love these. These are AMAZING. 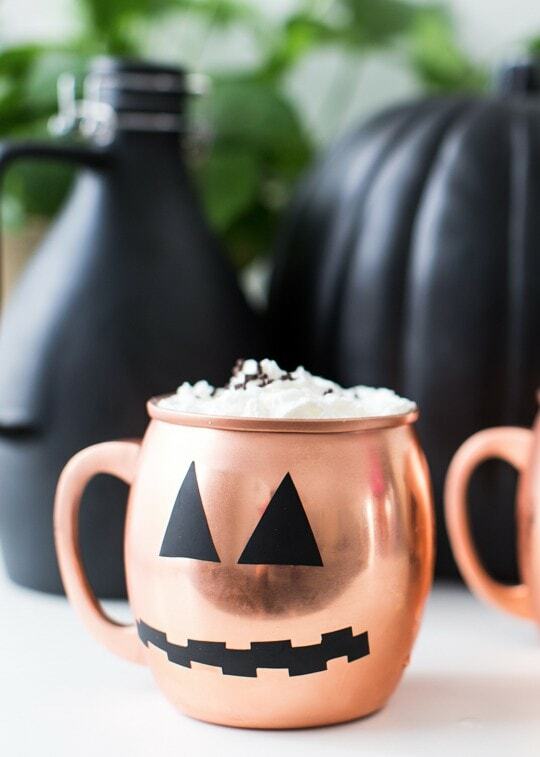 Usually halloween DIY’s are pretty cheesy but I adore this! These are so cute and simple! I was expecting a stencil and paint or etching. Nope! Ahhh, I love how simple and clever this is! 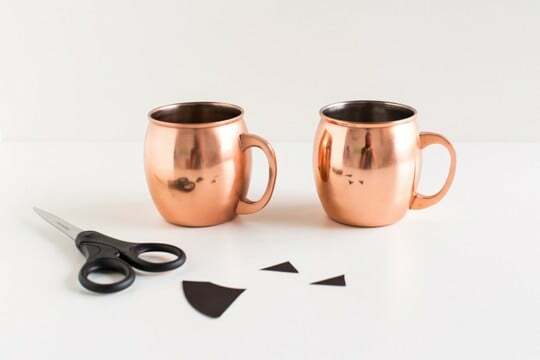 I gotta get me some copper mugs stat! Love this! Ashley, where did you get the mugs? They are great for this time of year abc would like to pick some up. I love this idea!!! 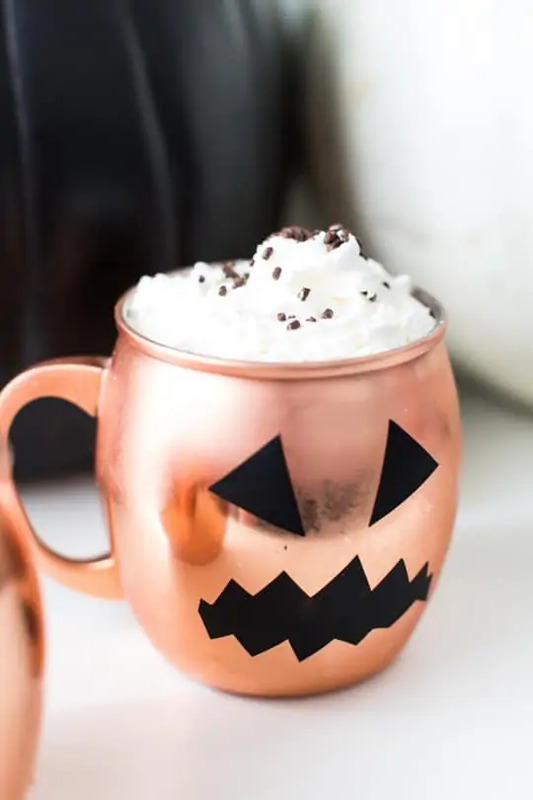 May I ask where you found those gorgeous copper mugs? What a fun idea! I’m going to check out the dollar store and hopefully find some that I won’t have to wait on to be shipped :). My daughter will love it. This is such a neat idea! Thanks for posting! Great tutorial! 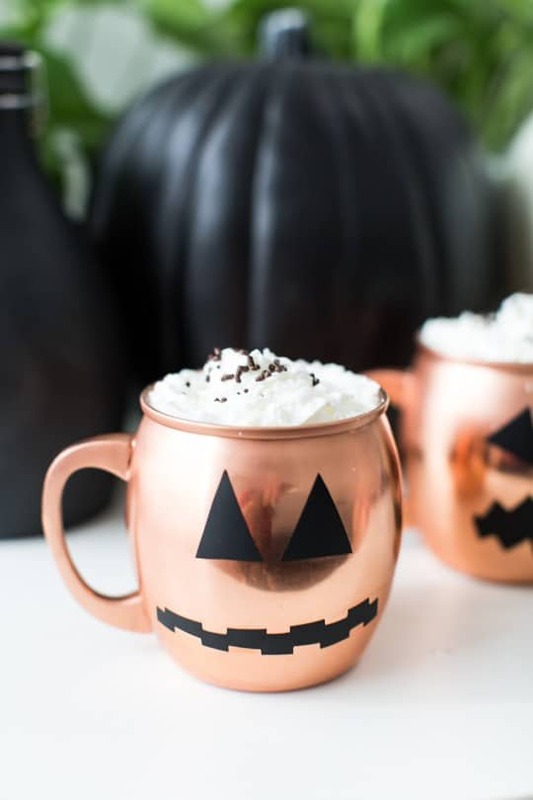 I love all these halloween diy’s I’ve been coming across lately. 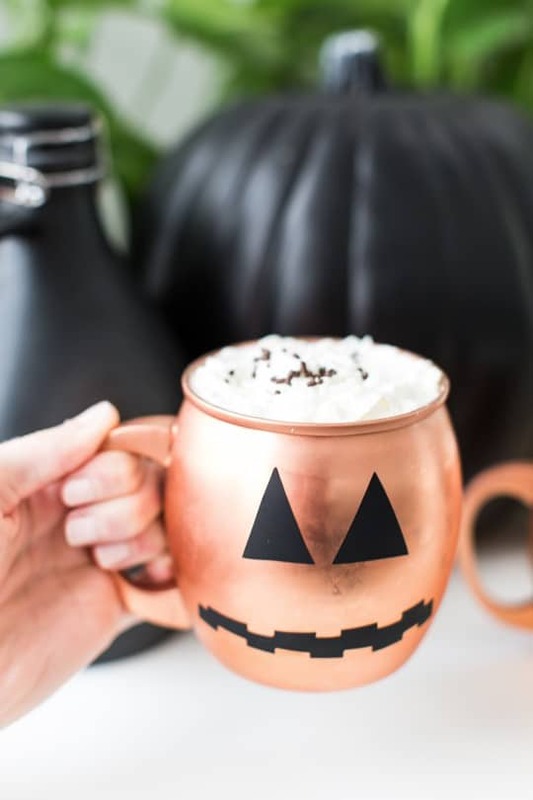 Nothing gets you in the mood for halloween better than reading blogs and browsing pinterest ideas! 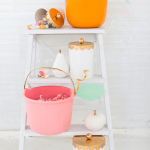 What a charming diy project for halloween! 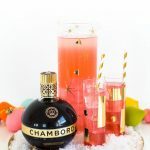 It’s so simple and adds a great touch for the holiday spirit! Thank you Danijela! Really hope you try this DIY. Its super quick and simple!